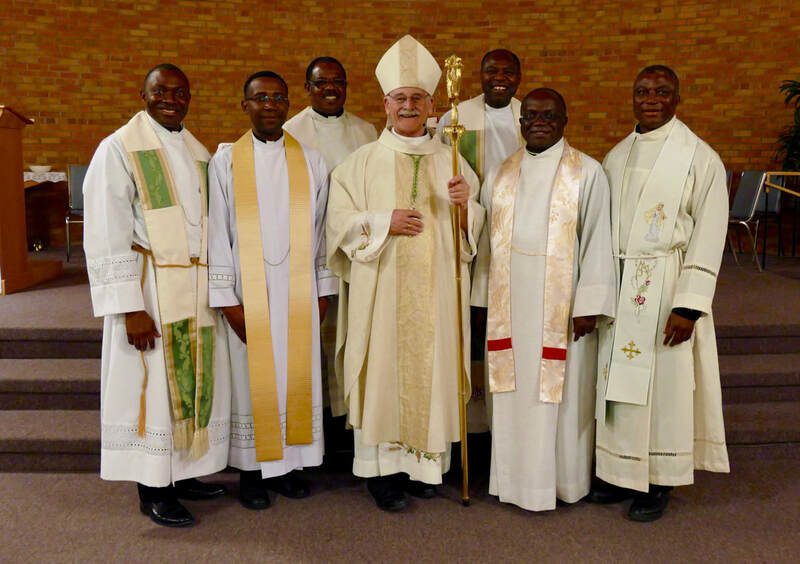 "Faith is strengthened when it is given to others"
The Missionary Society of St. Paul of Nigeria (MSP) was founded on World Mission Sunday, October 23, 1977 by Dominic Cardinal Ekandem, and established by the Catholic Bishops Conference of Nigeria. The foundation of MSP was in response to the teachings of Jesus to go out and make disciples of all nations (Mark 16:15), and the call of the Second Vatican Council on young churches in Africa to share in the missionary work of the Universal Church as emphasized by Pope Paul VI in Uganda in 1969. The faith we received from the early missionaries that came to Nigeria, we are now sharing across the world. ​Ordination of MSP priest began in 1985. As of June 2016, we are 278 ordained MSP priests. MSP has a seminary in Nigeria with more than 110 seminarians. 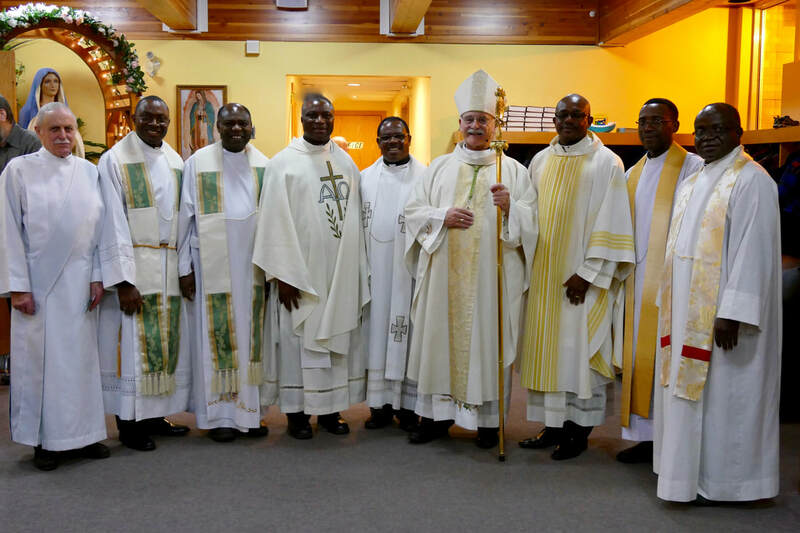 Today priests of the Missionary Society of St. Paul of Nigeria work in Botswana, Cameroon, Chad, Malawi, Nigeria, South Sudan, the Gambia, Liberia, and South Africa. We are also in England, Grenada, Sweden, Germany, Italy, Rome, Ireland, Bahamas, Canada, and United States of America. ​Canadian missionary institutes have long served the evangelizing mission of the Catholic Church both at home and abroad. In Nigeria, the Catholic Church has been blessed by the presence and generosity of the Spiritans, the Christian Brothers, Our Lady’s Missionaries, and many others. When these Canadians embarked on their mission to Nigeria, one wonders if they imagined that Nigerians would one day be missionaries to Canada. ​When he founded the Missionary Society of St. Paul (MSP), Cardinal Dominic Ekandem (1917-1995) believed that the Catholic Church in Nigeria, by virtue of its blossoming vocations, had an evangelizing mission mandate, not only to the African continent, but also further afield. In 1976, Cardinal Ekandem shared this missionary conviction with the Catholic Bishop’s Conference of Nigeria and so began several years of prayerful reflection and conversation. In 1978, with the endorsement of the Nigerian Catholic bishops, the Missionary Society of St. Paul was erected as a Pious Union. On March 17, 1994, the Congregation of the Propagation of the Faith approved the canonical status of the MSP as a Society of Apostolic Life. Fundamental aspects of the MSP apostolate include primary evangelization and re-evangelizing communities of faith. Missionaries of St. Paul strive to “to be all things to all people” (1 Cor 9:22), in order to proclaim and witness God’s love in every locale and context. Four decades later, Cardinal Ekandem’s vision continues to bear fruit, with approximately 300 Missionaries of St. Paul serving in diverse pastoral ministries in the Caribbean, Africa, Europe, and North America. ​Today, the Missionaries of St. Paul are serving in two Catholic dioceses in Canada: Prince Albert, Saskatchewan, and Peterborough, Ontario. Rev. Anthony Afangide, Rev. Frederick Akah, Rev. Peter Paase, and Rev. 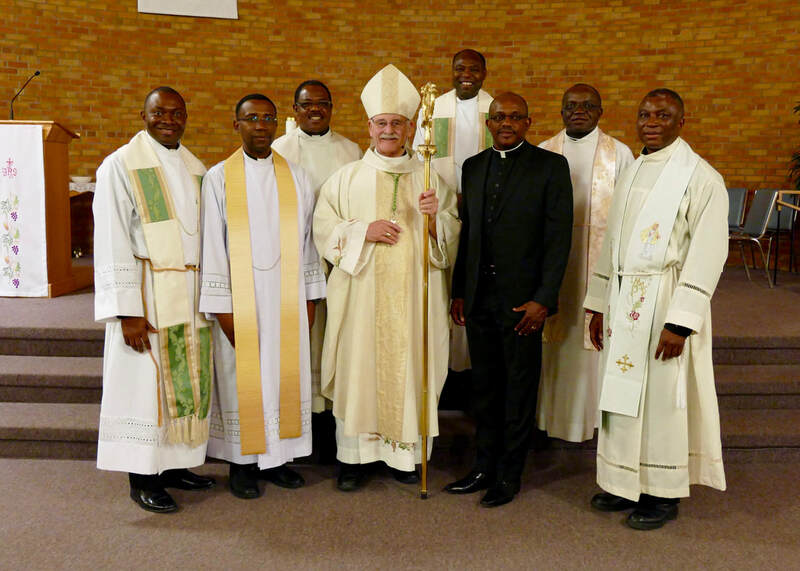 Peter Nnanga serve in the Diocese of Prince Albert, and Rev. Dominic Mbah serves the Diocese of Peterborough. 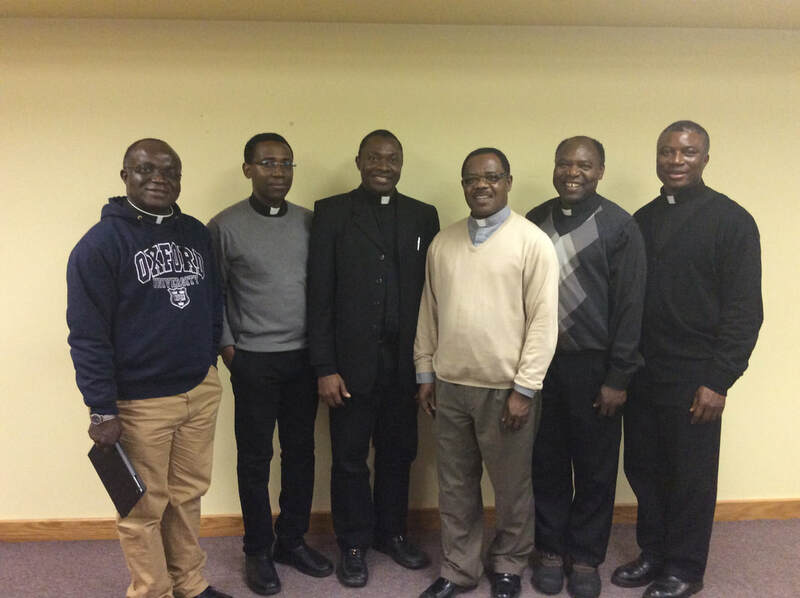 These five MSP priests bring to their respective pastoral ministries their homegrown faith and their experiences from previous missionary work in nations including Liberia, Malawi and the United States of America. At the same time, they are enriched by the strong faith of the people they now serve. 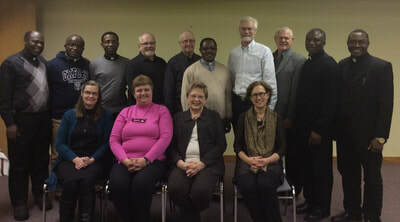 ​In 2015, the Missionary Society of St. Paul’s General Council created the MSP Canada Mission. MSP priests serving in both the United States of America and Canada no longer share a common leadership structure. Now the MSP Canada Mission has its own leadership, and mission office. On January 25, 2017, Most Rev. Albert Thévenot, M. Afr., Bishop of Prince Albert, formally inaugurated the MSP Canada Mission at a Eucharistic celebration in the St. Joseph Calasanctius Roman Catholic Church, North Battleford, Saskatchewan. 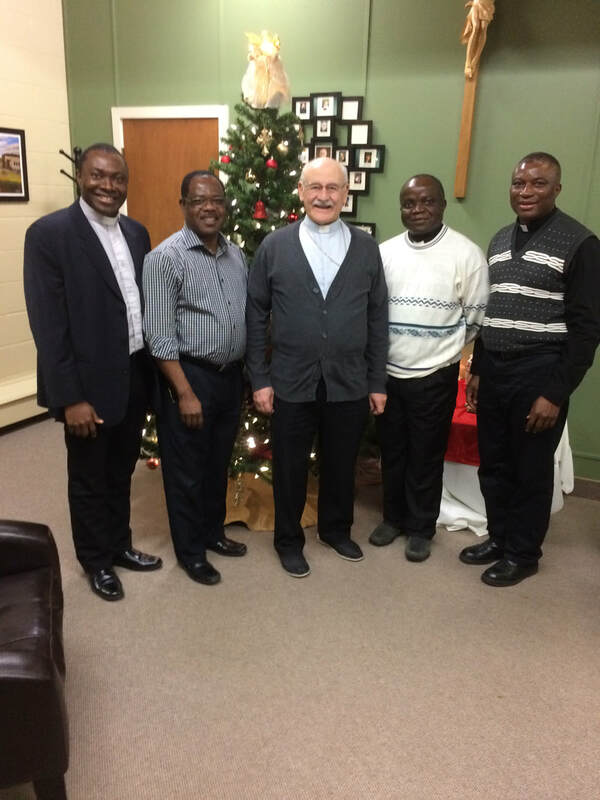 The Missionary Society of St. Paul is grateful to Bishop Thévenot for presiding at this memorable event and for providing an initial base for the MSP Canada Mission office in Prince Albert diocese. Special thanks are due to all the faithful of St. Joseph Calasanctius for successfully hosting this event. The MSP Canada Mission is also indebted to its board of directors, its legal team, and to MSP friends across Canada for their diligent service and generous support. ​The Christian faith is a gift to be shared with all peoples. The Missionary Society of St. Paul has come to Canada bearing this precious gift once received from early missionaries. The presence of MSP priests in Canada testifies to this witness of faith and reciprocates the generosity of Canadian missionaries to the Catholic Church in Nigeria. By responding to the invitation to serve in the dioceses of Prince Albert and Peterborough, the Missionary Society of St. Paul is being true to the vision of its founder and following in the footsteps of its patron, St. Paul, as “Ambassadors for Christ” (2 Cor. 5:20). The MSP Canada Mission is thankful to God for its fruitful pastoral ministries in Canada and looks forward to future mission collaborations with other dioceses in ministering to Canadian Catholics. Rev. Idara Otu is a member of the Missionary Society of St. Paul. He is currently residing at the Scarboro Missions central house in Scarborough, Ontario, while studying at Regis College – The Jesuit School of Theology at the University of Toronto, Canada. As a member of the congregation of the faithful in the Catholic diocese of Prince Albert Saskatchewan, Canada, it gives me great pleasure to share just a few words of appreciation and thanksgiving for the Missionaries of Saint Paul, (MSP), Canadian missionary priests. ​We are indeed blessed to have four (4) priests from MSP within our diocese. I have had the good fortune to meet and work with each one of them. When the MSP concept was first conceived, until the time of it's realization to maturity, it is said to have taken 27 years! For many of us, 27 years is a long time, but in the grand scheme of things it is but like one snowflake on a prairie province covered in snow during our cold winter months. I am filled with awe at these men and others like them who leave behind families, friends, and the comfort of a home culture in order to spread the good news of Christ. I have trouble imagining myself being able to make those sacrifices. Indeed, it motivates me to great respect, appreciation and a willingness to assist them in their mission in any way that I can. ​At the beginning of August 2014, I will admit I knew very little about Nigeria and I did not have any clue what MSP stood for. Our own parish had not had a resident priest since 1985 and our rectory had been used as a meeting place, a place to hold catechism and a place for fellowship and ice cream after Mass on Saturday evenings. We had never had a Parish Secretary before and, as secretary for the Parish Council, I volunteered to "give it a try" as the Parish Secretary with this new priest from Nigeria. Father Peter Nnanga, MSP, came to our parish as our new Parish Priest. I quickly learned that MSP were the initials for The Missionary Society of St. Paul and that I dare not leave these beloved initials off of Father's name whenever and wherever I wrote it. 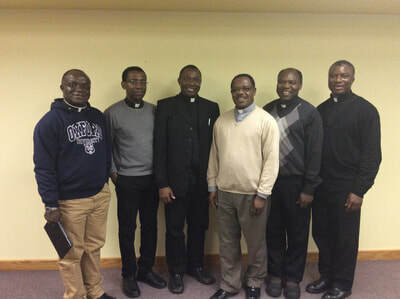 So as Father Peter Nnanga, MSP, began his mission work in Canada, I also began my own journey that has led me to proudly become one of the new AMSP members in the newly formed MSP Canada Mission. ​From the very beginning, Father Peter injected our parish with joy and a new level of spirituality. His love of music and his community mindedness allowed him to blend into our parish almost seamlessly. His desire to be with the people of his church gladdened us and we were so surprised when he joyfully suggested that he would live in this "rectory" that had been repurposed so many years before, instead of in a modern rectory in a neighbouring parish with another priest in the diocese. With a few renovations, many prayers, and a lot of love the rectory was ready and he moved in. Father Peter made it a true home, where he always welcomed his people. Because we are a smaller community, the rectory/office served many purposes and was used for many meetings, bible studies, fellowship and church office work. Conversations were full of laughter and encouragement always with the Catholic Faith and the deepening of our own faith at the centre. Father shared with us with love about his homeland of Nigeria and also, with great pride, about the workings of the MSP in Nigeria and in the other countries in which they serve. ​When any of his brother priests would visit, Father would ask myself and other members of parish council and the parish to come and meet them. It was quickly very evident that his brother MSP priests also worked with the same faith, deepening love, and encouragement as he was giving us in Paradise Hill. In August 2015, we were blessed with visits from MSP Superior General, Very Rev. Fr. Victor Onwukeme, MSP and MSP, US Regional Superior, Rev. George Okeahialam, MSP. After touring our beautiful church, they gratefully accepted the invitation to join my husband and two sons at our house for a meal. It was truly an honour to host them and share our Canadian hospitality. ​As the Parish Secretary, I worked alongside Father Peter and it was only natural that I learned many things about the Missionary Society of St. Paul, who they were, what they stood for, and examples of many of the things they did in their ministry. I was encouraged to be involved and gladly volunteered many hours helping Father with tasks that he had been assigned while they worked to become an official Canada mission and no longer be housed under the United States Mission. Sadly for us, Father Peter's stay in Paradise Hill was short lived and he was called to serve as the Pastor of Spiritwood after only having been with us for one short year. I was very thankful, that by this time, I, along with my family, had already developed a very keen interest in the MSP and I didn't want it to end just because he was no longer our Parish Priest. Father Peter had been planting the seed of becoming an AMSP member for an entire year and, so, when he continued to ask for some assistance on projects he was working on and also prayers for the mission, I eagerly said yes. From all that I have seen and experienced with the MSP priests in our diocese, their deep commitment to helping us all really take hold of and develop our Catholic faith, leading all of us with an extraordinary example of faith and humility, I wanted and still want, gracefully, to do what I could to see their mission in Canada and around the world continue. As seen by the wonderful attendance at the inaugural first Mass celebrating the new MSP Canada Mission, I along with so many others are thankful to God for sending MSP priests to serve in our diocese.